Beautiful designed and constructed pieces that put your menu on a pedestal. our first menu design ten years ago, now a staple in THE menu world. The natural grain, warm color, and sublime feel of our Wood Boards elevate the dining experience in a classic way. Choose from a stain finish available in light blond or dark brown or a more weathered finish available in white wash or vintage distress. Each board is protected with a clear coat providing a durable organic look that is irresistible to handle. 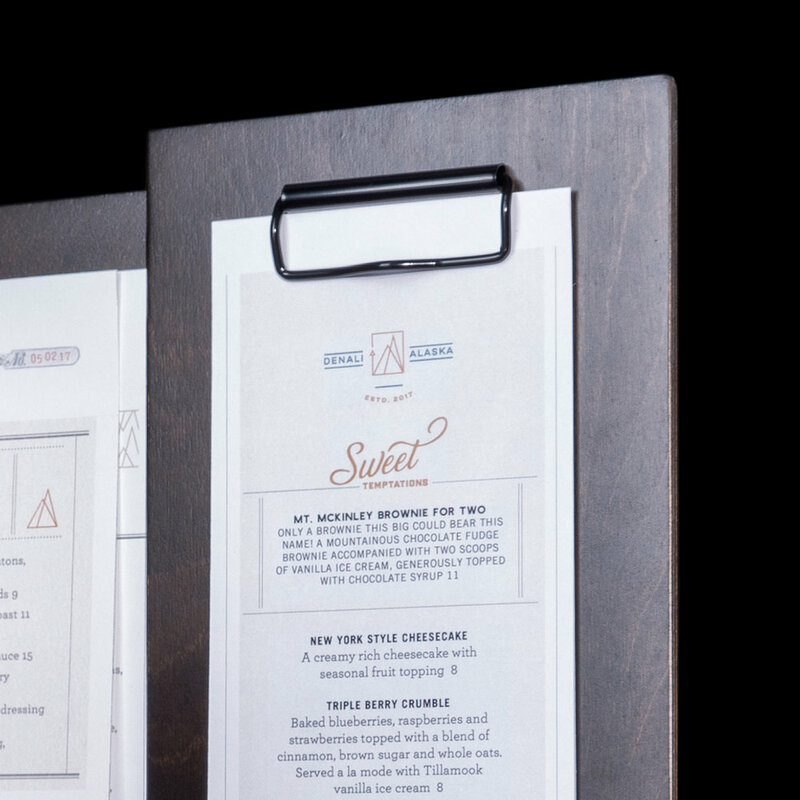 Entice your guests with the opaque bright white or luster black of our Opaque Acrylic Boards and bask in the admiration that accompanies great taste. Custom acrylic colors are available upon request. The frosted clear and frosted green acrylics of our Translucent Acrylic Boards are paired with your choice of paper resin, acrylic, or hardboard to create a clean presentation for the eyes and appetite. Let the saturated matte tones of our new eco-friendly Paper Resin Boards adorn your tables with modern flair. This dense, durable, and water resistant material is made with 100% recycled paper and is available in a rich charcoal black, deep chocolate brown or natural tan. A neutral palate to showcase your flavorful food and colorful cocktails, the pleasing caramel brown color of our Hardboard leaves more of your menu to the imagination. This durable material is an excellent surface for printing. Only durable Eco Faux material stand the test of time, and ours are just that. With a wide range of colors and textures, your menu will be the height of sophistication. Sometimes a softer feel is the only option. Our single-sided Eco Faux Blotters are hand-stitched and designed with tabs at both ends to hold standard size sheets providing a very simple and elegant presentation. Available in a wide array of colors and textures and in five convenient sizes, as well as a double-sided option. 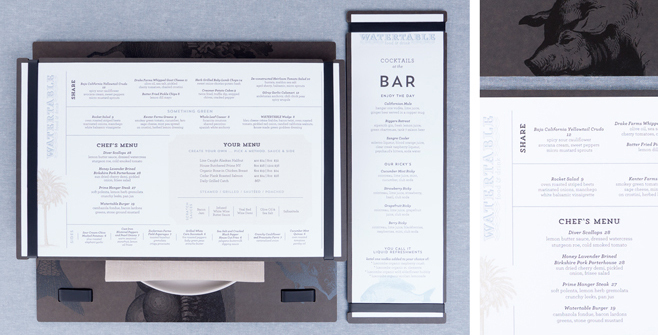 Thin Notched Overlays are cut to fit our notched menu boards and provide the perfect barrier for your menu. Legacy wide bands available in black and white. Custom colors available. Thin bands available in black.